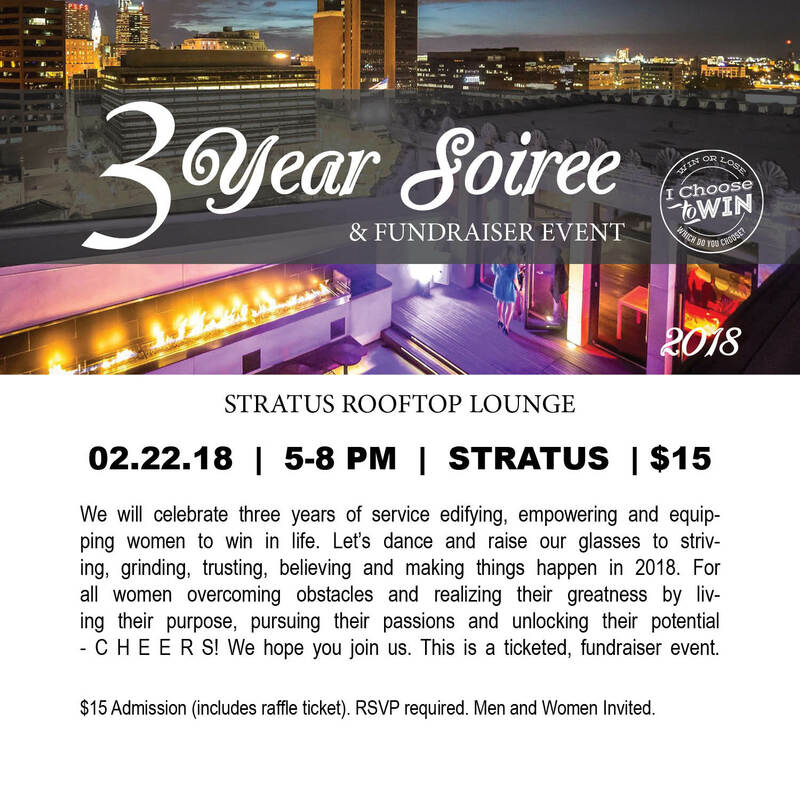 Join us as we celebrate our 3-year anniversary soiree at Stratus Rooftop Lounge. We will celebrate three years of service edifying, empowering and equipping women to win in life. Let’s dance and raise our glasses to striving, grinding, trusting, believing and making things happen in 2018. For all women overcoming obstacles and realizing their greatness by living their purpose, pursuing their passions and unlocking their potential – C H E E R S! We hope you join us. This is a ticketed, fundraiser event. No refunds. This is not a women only event. This is also for the men who support these women. Fellas, see you there. Admission includes ONE raffle ticket. Raffle Prizes include: Movie Passes (2), Gift Cards, Overnight getaways and more. 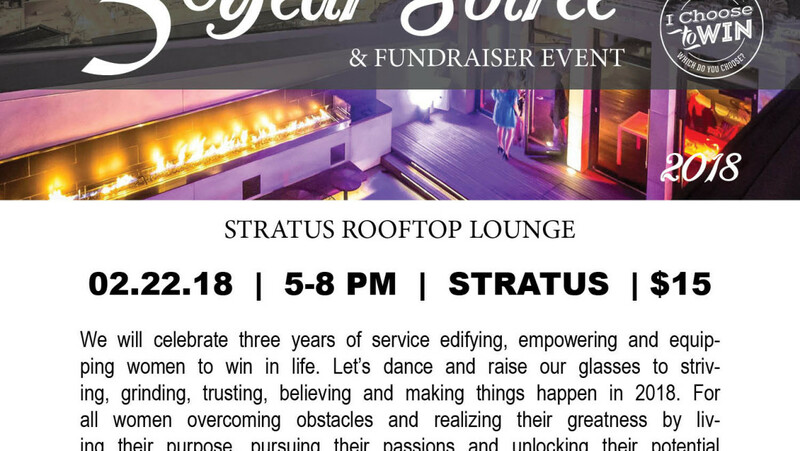 A percentage of Stratus Rooftop sales benefit I Choose To Win.